Festival of Fools returns with a spectacular programme packed with the best local and international circus and street art talent. The largest comedy and street festival on the island of Ireland takes over various locations around Belfast this May Day Bank Holiday weekend from Friday May 3 to Monday May 6. The festival’s newly launched programme showcases a variety of fantastic homegrown artists as well as performers from countries around the world, including America, Switzerland, Italy, Germany, England, Spain, Argentina and Australia to bring a truly international flavour. Highlights include American precision acrobats The Red Trouser Show whose astonishing display of non-stop action and skill laced with comedy and fire concludes with a breathtaking finale performed high in the air. Italian Master Jester Ugo Sanchez Jnr promises to draw the audience into his bizarre imagination, and Spanish Cyr Wheel artist Mr Dyvinetz comes to life inside the wheel with a performance which will surprise and enchant with its display of beauty, balance and strength. Local artists including the Great Mefiesto, Angelique ‘Reckless’ Ross’, and over a hundred young people with community groups will perform in Writer’s Square, providing entertainment for all ages. 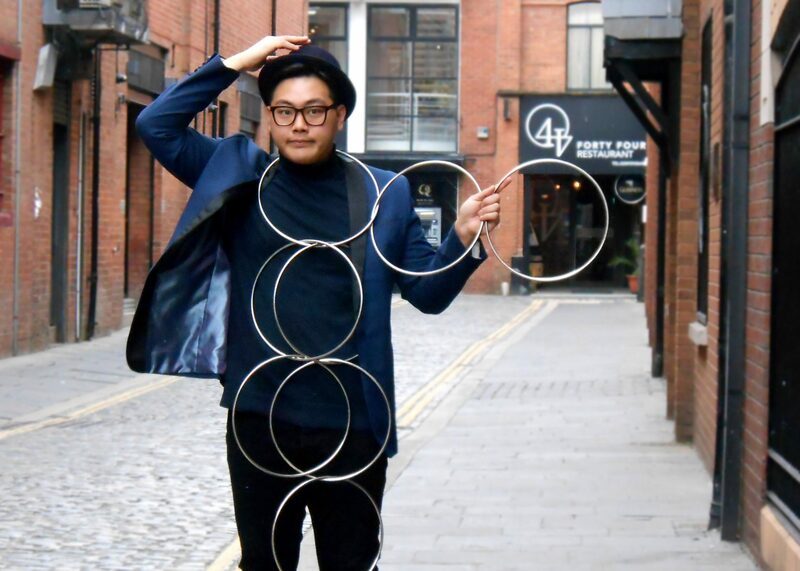 Jenna Hall, Chief Executive of the Belfast Community Circus School, organisers of the Festival of Fools, said: “This year’s programme is jam-packed full of the best local and international circus and street theatre talent. We are also delighted to once again offer performance opportunities to over 100 young people who receive tuition through Belfast Community Circus School. Come and see their work in Writers’ Square. The festival will be rounded up on Saturday, Sunday, and Monday by The Big Finish at the Will Chamberlain stage. Hosted by Frankie Magilligan, this display is a mash-up of the best action of the day’s performances. 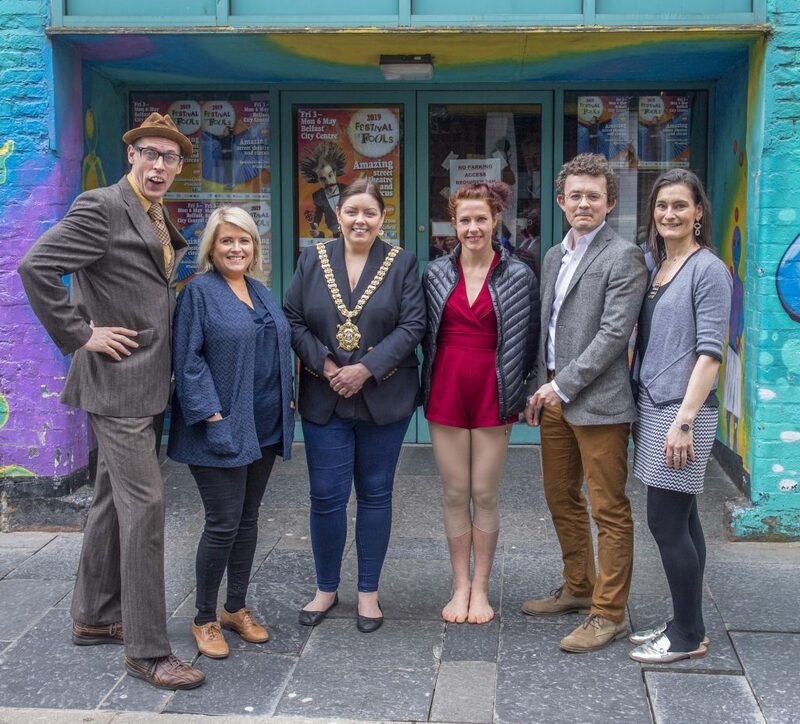 Lord Mayor of Belfast Councillor Deirdre Hargey said: “Festival of Fools is always a great weekend of fun for everyone, young and old, and provides a platform to showcase our local creative talent. 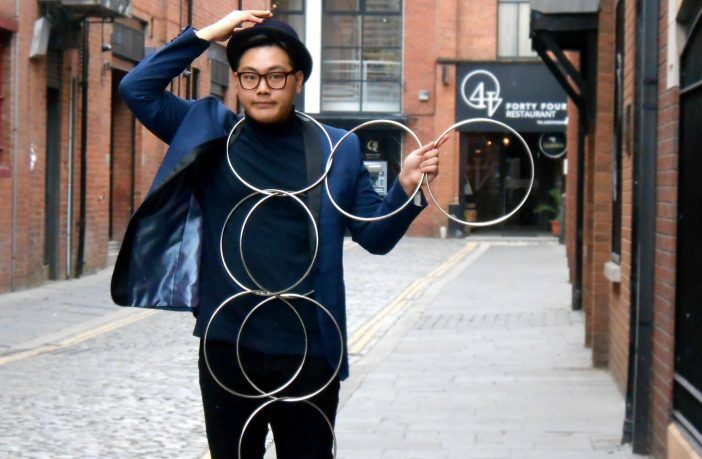 “Belfast’s arts and cultural scene has been key to reinvigorating our city centre spaces over this last number of months, and this is another really fun initiative to look forward to. This year the festival is once again supported by Arts Council for Northern Ireland; Belfast City Council; Department for Communities; Destination CQ; Tesco; Tourism Northern Ireland; Third Source; Excalibur Press; Ramada Encore Hotel. While festival organisers are confident the sun will shine on this event, wet weather provision has been made to allow the show to go on regardless.